Update 4/3/19: Information about two candidates from the Reach ticket has been removed to reflect their withdrawal from the election on April 2, 2019. Update 4/4/19: The article previously stated that Shift planned to remove the $22 student fee from the Rec Center. This is not one of their goals. We apologize for the error. The spring election for CU Student Government (CUSG) begins next week at 8 a.m. Monday, April 8 and will end on April 11 at 8 p.m. Those four days will allow CU students the opportunity to vote for three new tri-executives and four representatives-at-large. Students can serve in these positions for up to one academic year. Representatives-at-large sit on the Legislative Council, while tri-executives serve as student body presidents. New terms for each representative will start after being sworn in on May 2. Four tickets are running this year: Progress, Shift, Reach and Voice. Here is what you need to know about all of them. Progress hopes to address sexual assault training at CU by making less graphic educational videos that give better tactics for handling threatening situations. The ticket also hopes to work with the CU Boulder Recreation Center to waive the $22 fee graduate students currently pay by enhancing their budget to make up for lost fees. This is the only ticket with a full set of representatives and executives. Finally, Progress is looking to make important steps in inclusivity on campus, highlighting LGBTQ+ safety as a major point of concern. Emmanuel Byarm: Byarm is one of the current representatives-at-large and is running for a second term. As a sophomore physiology major with a business minor, Byarm hopes to become a civil rights lawyer to fight inequality. He is passionate about creating an inclusive environment for everyone at CU. Debbie Landman: Landman is currently running for representative-at-large under the Progress ticket. Landman is a sophomore and member of the Kappa Kappa Gamma sorority. As a political science major with a minor in multicultural leadership, she wants to foster an inclusive campus. She has previous experience working in student government in her high school. Faith Atkins: Atkins is running for representative-at-large. She is a member of the Phi Mu sorority and Alpha Phi fraternity. As a current member of the UMC and Center for Student Involvement boards, Atkins is familiar with how CUSG work. Studying economics and sociology, Atkins wants to use the role of representative-at-large to promote diversity and meets the goals students want. Zoe Weinberg: Weinberg is running for representative-at-large. As a sophomore in the Leeds School of Business, Weinberg hopes to strengthen transparency in CUSG. She wants to create a student government that hears student voices and demonstrates as such. One of her goals within the Progress ticket is to create ways for students to voice their opinions directly to their representatives. Michael Martin: Martin is running under the Progress ticket for tri-executive. Martin serves as the Banquet Chair of his fraternity and a current representative-at-large. He is a sophomore majoring in strategic communications and advertising with a minor in technology, arts and media. Ryan Passas: Passas is running for tri-executive. She served as the secretary for Students Organize for Syria. As a junior studying sociology, Passas is pushing for all of the goals Progress is running with. She wants to hold deans and faculty accountable for their students. Nick Kennedy: Kennedy serves as the Academic Director for Chi Psi fraternity as well as being a current representative-at-large. He is a finance and accounting major and is in the Leeds honors program. His goal is to make CU as inclusive as possible. He wants to make all voices heard across the CU campus without discrimination. Shift focuses heavily on the the relationship between CUSG and UGGS (United Government of Graduate Students). The ticket hopes to create concrete ways in which graduate students can be better represented at CU. A specific initiative would be to eliminate the $22 fee that graduate students have to pay out of pocket to utilize the Rec Center. They say they will create a way for the Rec Center budget to be balanced through moving funds. The Shift ticket also wants to strengthen the public relations department of CUSG. They want to give students better access to information pertaining to initiatives and bills CUSG is proposing and funding. 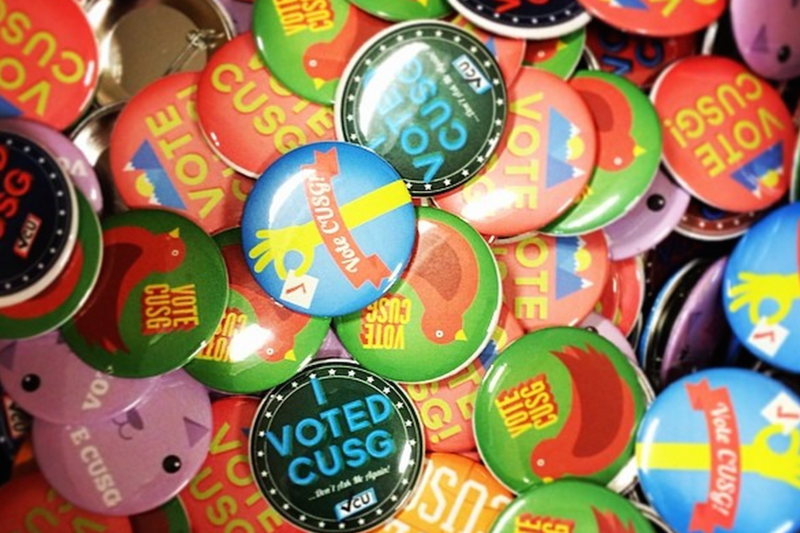 By making CUSG more approachable, they hope to create direct impacts on students’ lives. Diversity and inclusion is the final major point of Shift. They want to create a more inclusive community for LGBTQ+ members. By having outreach programs, they hope to communicate with students on how exactly to make an LGBTQ+-friendly campus. Jake Carias: Carias is running for tri-executive through the Shift ticket. He is currently the Graduate and professional student liaison of the Diversity and Inclusion Department as well as an executive board member of UGGS. As a graduate student in sociology with a specialization in urban sociology, graduate student needs are on the top of his list. He wants to bring graduates to the forefront of CUSG discussion and increase inclusivity for other LGBTQ+ students like him. Bazen Fentaw: Fentaw is currently running for tri-executive with the Shift ticket. Fentaw has been involved with the African Student Association as well as the Black Student Alliance. He is currently a junior majoring in international affairs and computer science. One of Fenton’s goals is to create a “town hall” style setting for students to publicly call on their representatives and make them aware of current issues. Sarah Altshuler: Alshuler is a sophomore studying political science and philosophy. She is running for tri-executive under the Shift ticket. In 2017, Altshuler served on the freshman council and has served a total of three semesters as senator for the College of Arts and Sciences. Among a number of initiatives, Altshuler is looking to find ways to embrace student diversity. “While we cannot make the campus more diverse, we can embrace the different students that grace the campus,” Altshuler said. Reach hopes to improve health, food and safety around campus. They aim to create a campus that focuses on progress with informative students. One of their main goals is to have an ecocentric mindset with legislation. They note that even though CU has many zero waste initiatives they can find places to improve. Environmental concerns can be found at the root of Reach’s legislative initiatives. This ticket does not have any tri-executives running. Keara Barrett: Barrett is running for representative-at-large. As a freshman studying business and integrative physiology, Barrett wants to create an inclusive campus for incoming freshman students. Barrett is the former vice president of her high school student government as well as former captain of the speech and debate team. Voice asked over 400 students across campus what they think about CUSG. Many could not identify basic points about student government. This lead to their primary campaign idea that students need to understand their representation in order to be opinionated. “Students’ voices are the inspiration in our policy”, said Kevin Hughes, a representative-at-large candidate. Voice wants the input of students to be the main priority in legislation. Voice expresses that a common theme of informed student concerns is that they are not being heard. “CUSG has failed the student body,” Hughes said. Without having the voices of those being served, Voice does not believe students can be properly represented. This ticket does not have any tri-executives running on it. Patrick Yehle: Yehle is a physics major with a minor in philosophy running for representative-at-large. Yehle regularly volunteers at the district attorney’s office which he says gives him the ability to understand law. He wants to use this understanding to put students before all else. Thomas Anderson: Anderson is an aerospace engineering major running for representative-at-large. As well as previously being on freshman council, Anderson is currently a Resident Advisor and director of student engagement for the College of Engineering and Applied Sciences. His initiatives include prioritizing students and creating a more transparent government. Kevin Hughes: Hughes is running for representative-at-large. He believes that being able to interact with people is one of the most important abilities a person can have. As a freshman studying business administration, Hughes believes listening to students voices is extremely important. Contact CU Independent News Staff Writer Tory Lysik at tory.lysik@colorado.edu.